﻿This publication is sixth in the River Press series of Golden Bay photo histories. 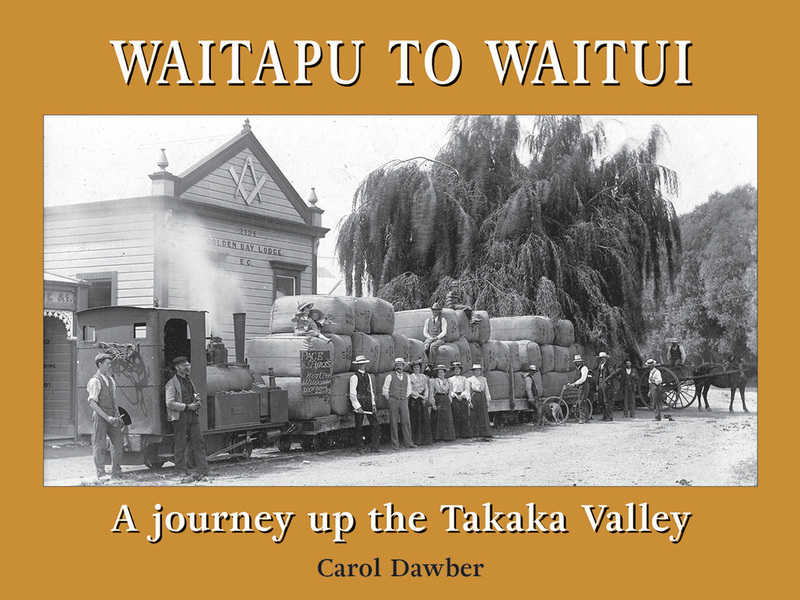 It covers the early days of European settlement in the Takaka valley, from the 1860s to World War Two, with black and white photographs sourced from public and private collections. Ships and sawmills, tramlines and river crossings, shops, schools, hotels and private houses feature in this book along with the marble quarries, hop gardens, sheep and dairy farms of the district.